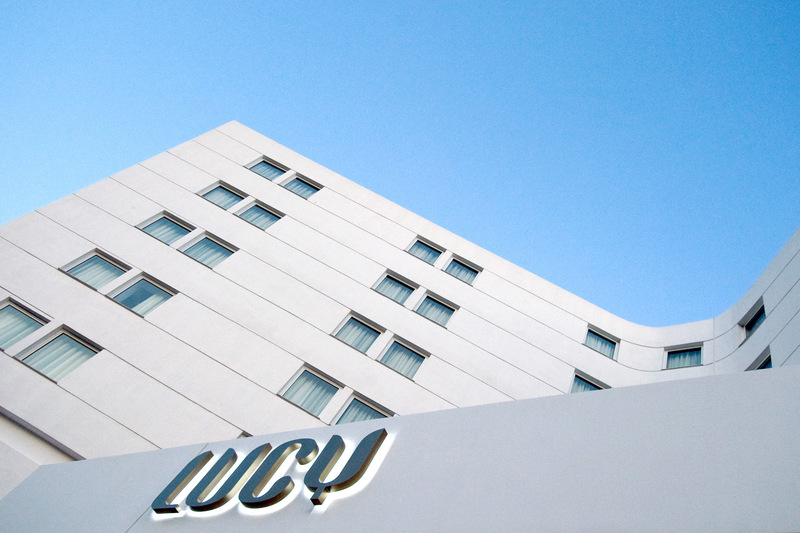 Lucy Hotel operates throughout the year. It is built on the westernmost cape of Kavala, and is one of the city’s landmarks due to both it’s location and it’s architecture. 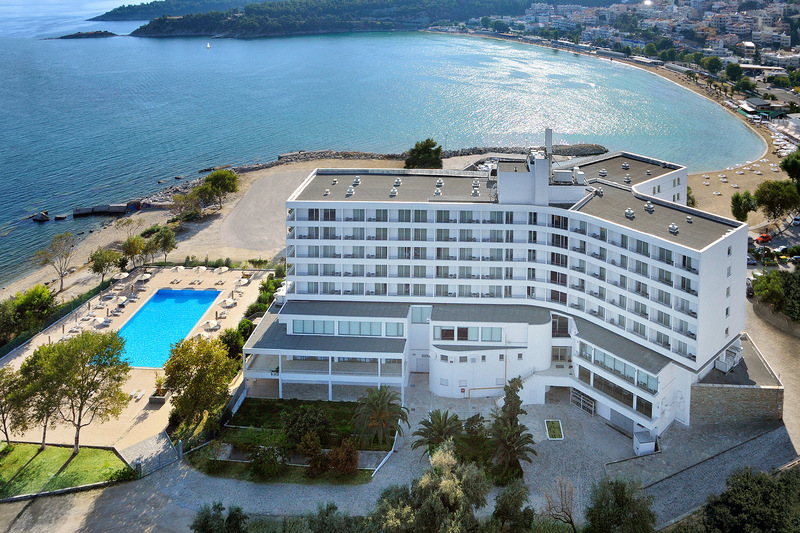 The hotel is housed in an imposing 8-storey building and has 149 rooms and the following common areas: The central Anatoli restaurants, the a la carte North 40’ 55’ restaurant, the central Gran Tourismo bar, receptions, 3 conference halls (Lydia West, Lydia East, Antisara) and the Orpheas Grand Ballroom events hall. Lucy has all the infrastructure needed in a modern hotel complex and is supported by the know-how of its experienced human resources. The Lucy Hotel has a total of 9 Executive Suites with a panoramic view of the sea and the pool. 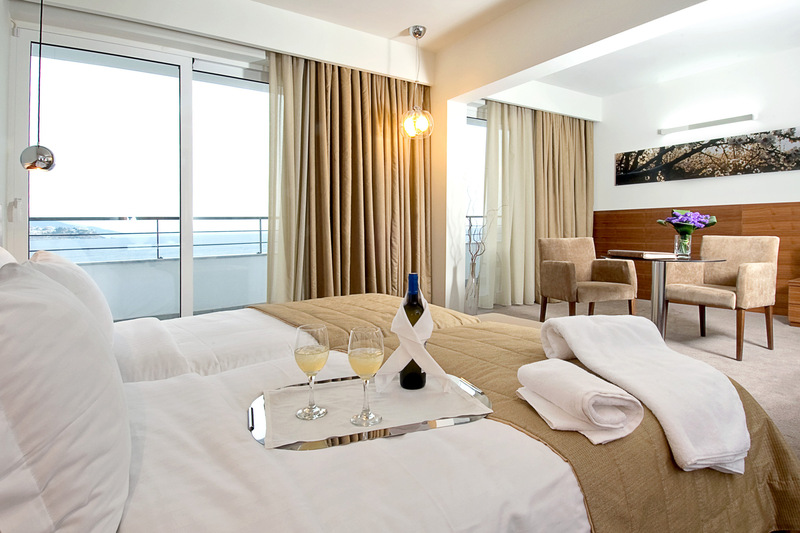 Junior Suites are among the most spacious rooms of the hotel and a sofa bed may be added for families. The Lucy Hotel has a total of 65 double rooms. Some have twin beds and some one double bed. 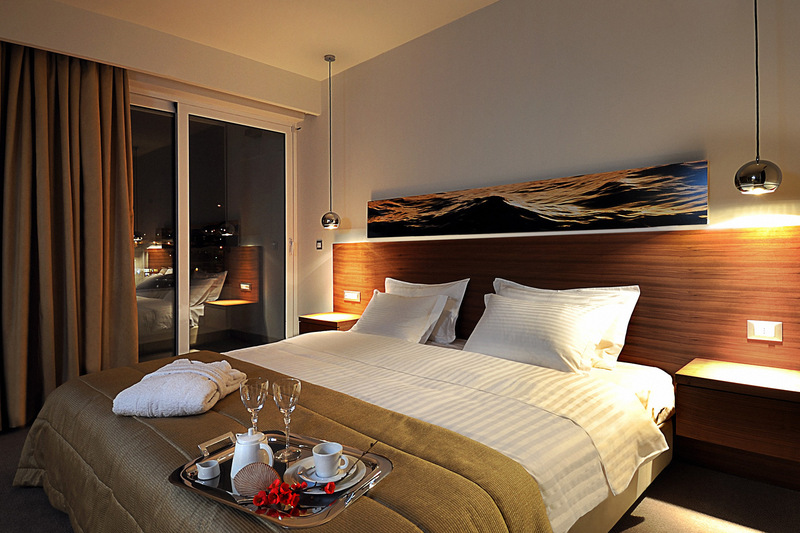 The hotels single rooms all follow a simple design, providing everything a business guest would require.